Well done - This Application was REFUSED by CBC on 10th January, 2003. Objection by the Danbury Society. Planning Application 02/01924/FUL by ntl. 1. It has been brought to the attention of The Danbury Society that Chelmsford Borough Council have received a Planning Application from mmO2 to increase the height of the Radio Mast by the Water Tower, Church Green (by St John's Church). This increase is by 5 metres (16ft 5ins) and to provide 3 number of 4 dipoles and a 0.6metre (2ft +) dish. At present the Mast is 26metres tall. The increase will bring the lattice framework to 31metres with a few aerials on top (thin ones) to about 34 and 36metres or so. The new dish is to be centred at 30.4metres. There are 26 aerials on the mast at present. Attention of Town Planning Services. The cut-off date for objections is now 18th October 2002. The Danbury Parish Office has a copy of all the Planning documents. 2. There is now a Public Planning Application yellow notice displayed at the Mast Site. Well done the Danbury Parish Council for getting one put up. 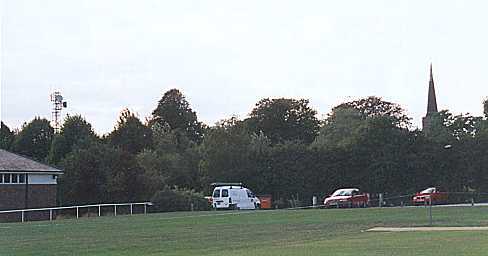 Many persons walk past the Radio Mast each day. 3. We now know it is for the Police Handheld Radios in the frequency range 380 to 430 MHz. It could well be argued that since the Police Station in Danbury has been closed the only Policemen we see in Danbury come by car from South Woodham Ferrers by car. This has a more powerful transmitter and a better receiver and car aerial. We therefore do not require a local transmitter for walking Policemen. The project is part of a Home Office recommended Public Safety Radio Communication Project (PSRCP) also now known as Airwave Service. It is a digital service. It is also sometimes called TETRA, short for Trans European Trunked Radio or Terrestrial Trunked Radio. It is intended to go National with this before 2005 when the Government withdraws the existing analogue frequencies. 4. As far as we can see someone has already put 3 similar aerials up on the mast which I think are of a similar frequency. Possibly without Planning Permission. 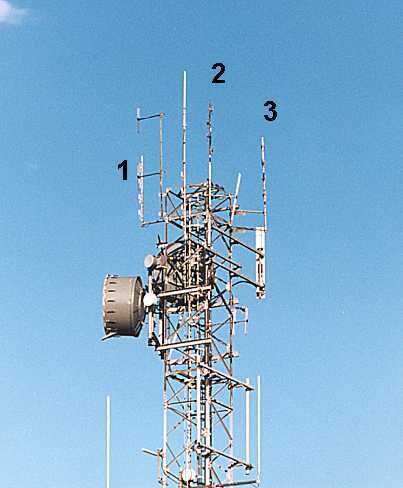 See photo and the numbered aerials 1, 2 & 3. The centre dipole seems to be Chelmer FM. 5. 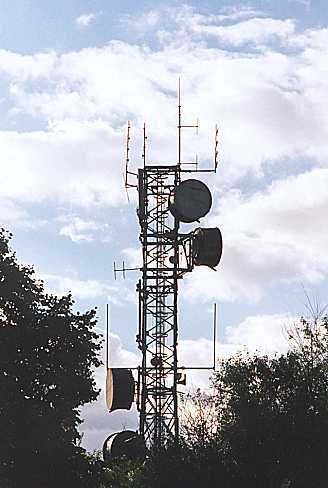 The Alarm on my Volvo car operates on 433.92 MHz and is badly affected by existing transmissions from time to time at the moment from this Mast and from Bakers Lane. The Amateur 70cm band nudges the new Police Band - goodness knows what the effect of this will have on existing users of the 430 - 438 MHz Band. 6. The main objection is visual impairment in a Conservation Area and an Area of Outstanding Beauty. 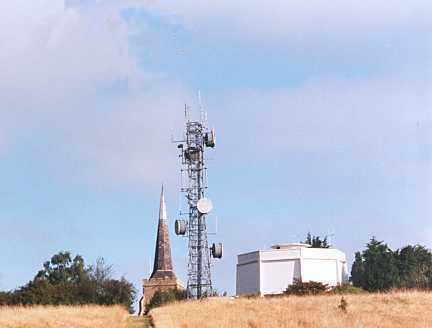 At present when one looks at Danbury Hill one sees a Church Spire, a Radio Mast and a Water Tower. In future I feel it will be a Radio Mast, Church Spire and a Water Tower. 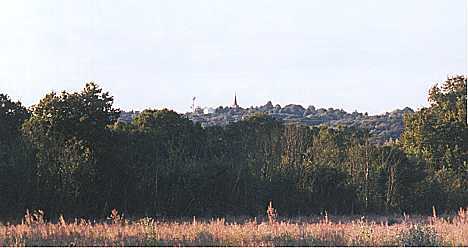 Danbury Hill can be seen for miles, mainly from the West, the South and East. 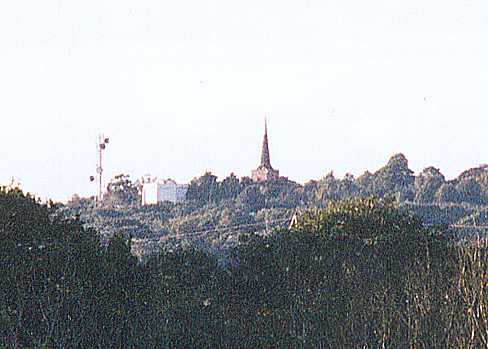 Trees and the shape of the hill mean that the Radio Mast & Church Spire cannot so easily be seen from the North. 7. 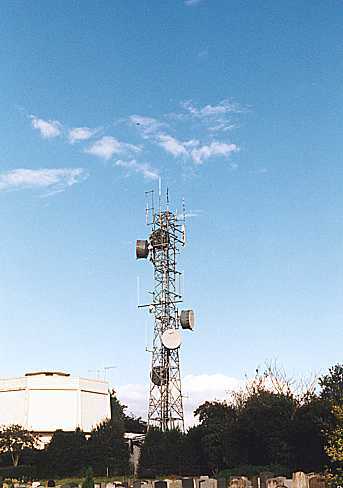 Ntl also own/run the Bakers Lane Radio Mast but did not consider putting the new aerials there due to a restriction in the numbers of aerial put on the Mast by CBC. Rampage to Radio Frequency Allocation Sheet, you need pages 31 & 32 for 430 MHz. 9. May I urge you to write in Opposing this Planning Application. We may not win, but if we don't try we certainly will not get it stopped!. ©Copyright John Bowen 2002 & 2003.